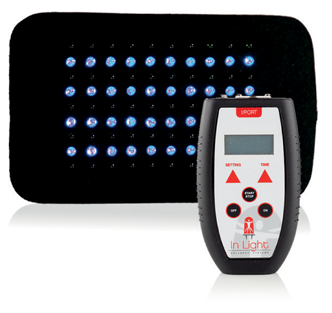 The most powerful energetic light system available in the world today brings together over 50 years of studies , efficacy and design to deliver the most advanced energetic light therapy with more diodes than any other light system on the market, easy to administer wrap around pads with automatic programmed 20 minute sessions, supporting inflammation, pain, relaxation, sleep and many more issues. 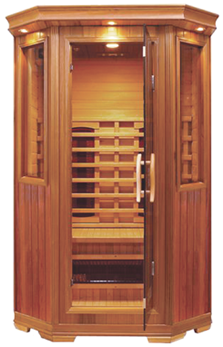 “Represents a huge step forward for health and wellbeing at home” (Dr Ratansi ND) Exclusive 2 person Far Infrared Sauna, no glues, no chemicals, low emfs, high quality grade A cedar, fits elegantly in a 4 ft by 4ft space with no ventilation needed, state of the art digital control panel for time, temperature, music and lights with a lifetime warranty. Delivering therapeutic heat for improved circulation, lower blood pressure, weight loss while soothing aches and pains and sweating chemicals and toxins out of the body. Relax and get your body working. Powerful home therapy for muscle, aches, pain and strains. Natures pharmacy from deep sedimentation formed over many thousands of years, The peat hyperthermia mud bath is full of rare earth minerals, vitamins and natural sulfur with pain killers, muscle relaxants and anti inflammatory all in natural form. Sourced from a secure region of Canada, represents the environment at the time of formation, unpolluted, uncontaminated put in the tub and allow for the beneficial effects. No binders (tick), no fillers (tick) GMO free (tick). Absorbed in the mouth ensuring the beneficial active ingredients reach the blood stream quickly to maximize their effect, working where your body needs it when it needs it. A unique base of the most powerful antioxidants in the natural world today, combined with natural ocean ingredients that increase the intake of natural vitamins, trace minerals and essential oil. The centrifugally, individually made Cellogie bio granules simultaneously work together to improve the cells intake of nutrients, protection and ability to function efficiently at the optimum level. Specific for brain, weight loss, skin, stress, joints, heart & fitness and more. Since ancient times, men and women have looked for the fountain of youth and eternal beauty. After years of investigation from our lab team in cellular chemistry and natural ingredients, emerged a product called “Nyou” the anti-aging creams with cell factors such as interferon’s and interleukins. These factors reduce inflammation of skin cells (dermis and epidermis) suffering from climate changes, weather, sunshine and aging throughout the years. A lack of time, low physical activity and mental stress added to a disbalanced diet and the accumulation of man-made toxic chemicals in the body are having a direct impact on our health, fitness and the aging process, especially when it continues day after day. Having access to a regular therapy in the comfort of your own home will have a positive impact on your health and well-being. Since 1998 we have been working with companies dedicated to testing and developing the highest quality leading edge health products and equipment from around the world. From GMO free 100% natural plant based ingredients grown in the heart of the French Riviera to Hyperbaric Oxygen Chambers manufactured to our rigorous standards of safety in New York. Our product range is used by over 2 million people in over 50 countries and used successfully for Health at Home and by health professionals worldwide. Replicating the best in nature through technology we have taken each of these carefully chosen products and combined them in such a way so as to deliver unique and powerful back to health, fitness and beauty programs. 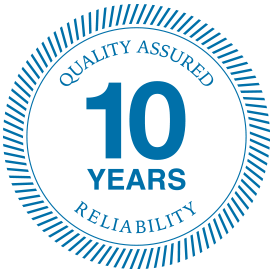 Since ancient times, men and women have looked for the each of our products use the latest advancements in technology and have gone through rigorous testing to the highest standards of performance and durability to earn our 10 year mark of accreditation and quality.